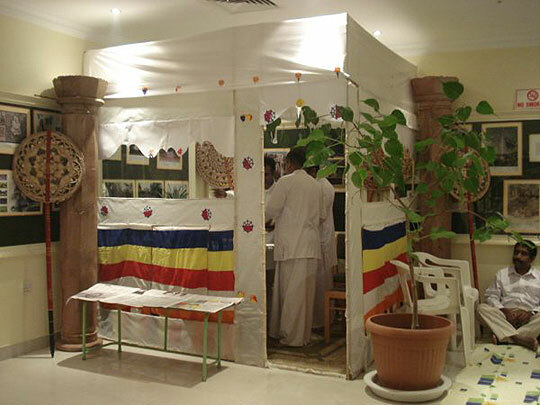 The embassy staff together with their families and well wishers took part in an overnight pirith chanting ceremony on New Year's Eve and invoked blessings on all for the New Year 2010. The ceremony began with the offerings of Buddha Puja followed by religious observances. 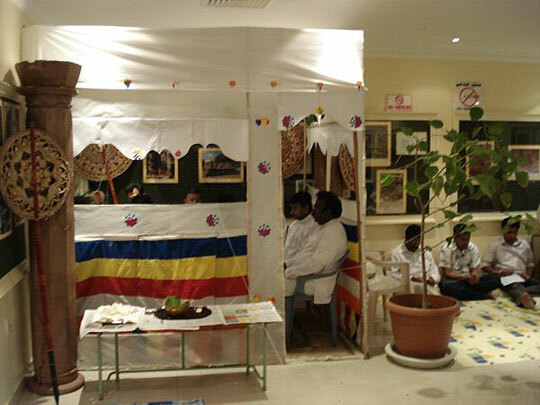 The embassy auditorium has been decorated with Buddhist flags for the occasion, while a special chamber (Mandappaya) has been set up to accommodate the group of laymen who volunteered for the occasion to perform the role of clergy. 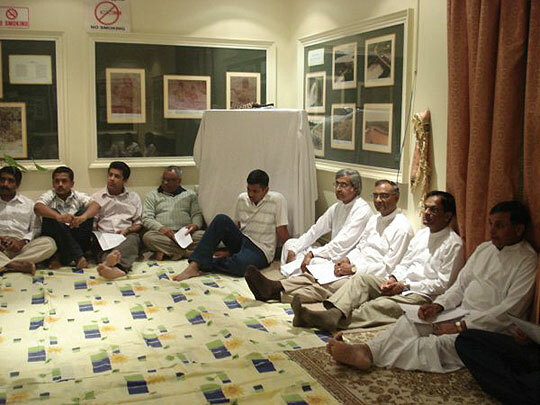 The atmosphere was reminiscent of a typical religious setting in Sri Lanka with devotees dressed up in white cloth gathered around the chamber in devotion for the religious observances. 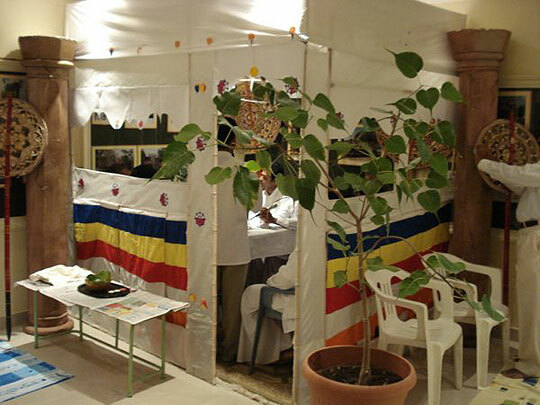 The pirith chanting which began around 10:00 pm on 31st night lasted for over three hours until early morning on the 1st January 2010, amidst the dawn of the New Year to the delight of all. The safe house inmates too observed pirith chanting in which they found solace to their suffering. The meritorious deeds performed on the occasion included religious prayers, dharma discourses, a meditation session etc. which were well received by the gathering. The proceedings came to a close with traditional food & snacks served for the devotees. On 1st January 2010, the staff took part in the flag hoisting ceremony in the morning, followed by singing the national anthem, reading of messages, oath taking, assumption of duties etc in the New Year. The Ambassador addressed the staff and emphasized the importance of forging ahead with "new year resolutions" in order to usher in an era of lasting peace and prosperity for all. He also appealed to staff to redouble their efforts toward serving the Sri Lankan community with dedication and for further strengthening relations between Sri Lanka and Kuwait. The official ceremony ended with traditional milk rice and sweet meals being served for those present.